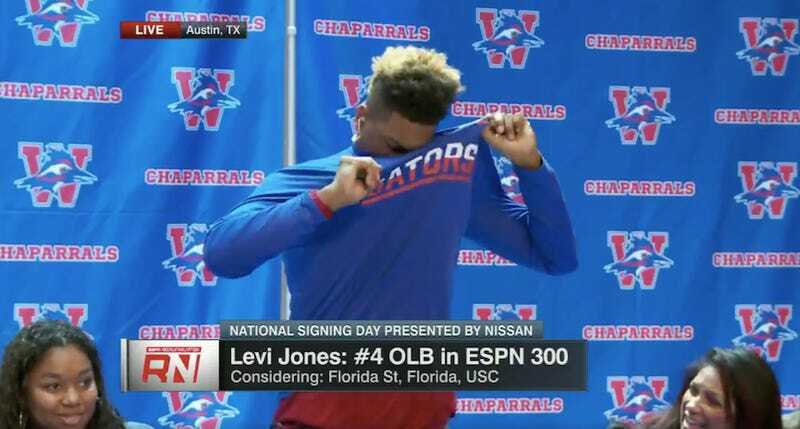 National Signing Day brings out the stunts, and Levi Jones of Austin, Texas, had one of his own. The linebacker prospect announced his commitment to USC today with a performance that disappointed both Florida and Florida State fans. That’s something everyone can enjoy. What’s really impressive about Jones’s setup is that he was able to remove two shirts without getting his head stuck even once.